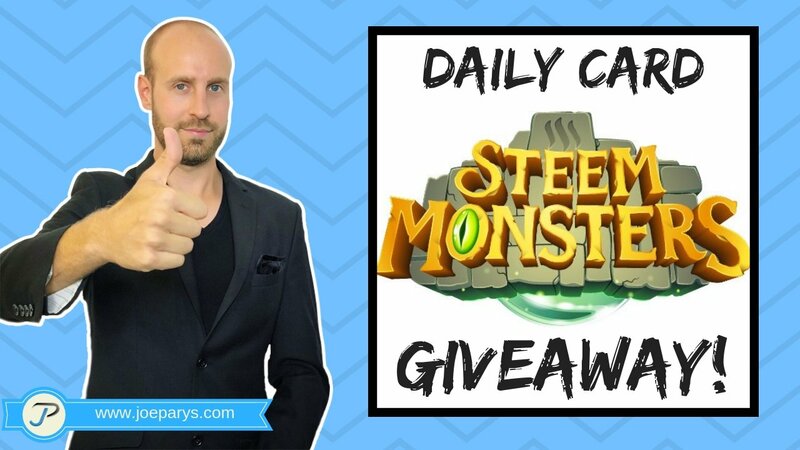 Steem Monsters Daily Card Giveaways! Gold Foils Every Friday! Want some Steem Monsters cards for free?! Follow me and participate in my daily Steem Monsters card giveaways! Want to join us on the Steem Monsters Battle Field?! Join The Fight Today! For anyone that used my affiliate link above I am able to earn 5% if you make a purchase! Using my link allows me to do more giveaways, tutorials, and gameplay for you in the future! Thank you for using my affiliate code above! Also... you can earn rewards just for engaing with this video and my content! If you like these boost pack opening videos would you please upvote, resteem, and comment below! This post has received a 56.32 % upvote from @boomerang. Hey, hope you are having a nice day! We stopped by to invite you to participate in the "B&W Photography contest", "'Dream' -- 100 words free writing contest", and "Food Photography #2 contest", and win prizes worth 18 Steem! Try 1Ramp Android or Web to easily participate in the contests or host your own. Thats a nice way to spread away steem. What do you think about my idea of making an app which recreates Steem Monster battles from the blockchain, renders it into CGI, and uploads to Youtube?